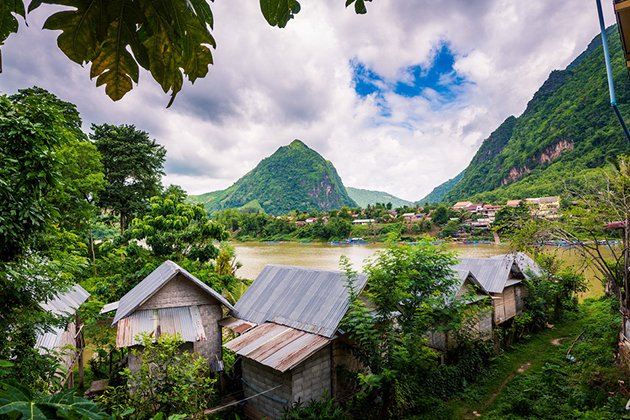 Hidden between some of the most fantastic limestone mountains north of Laos is an alluring picturesque town, where attracts many visitors to explore and chill, especially backpackers. It is a beautiful rustic little town and shouldn’t be expected any luxury services here. 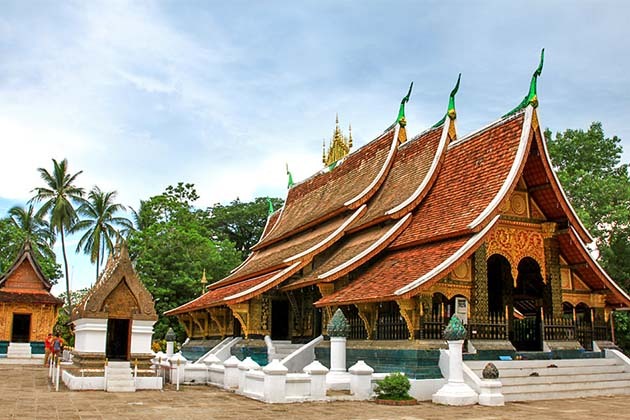 Nong Khiaw is located in Luang Prabang Province, a serene town on the bank of Nam Ou River. It used to attract backpacker to explore its homely beauty but now, it is becoming mainstream tourism offering good food, decent accommodation springing up like the mushroom, adventure-tours, and dynamic activities. Nestled between the green mountains, the peaceful river, this friendly village is a great idealistic atmosphere of Northern Laos. You will fall in love with the tranquility, chilled feeling, and affable locals, and become reluctant to leave. It is surely one of the most photogenic spots in Laos. Commonly, from Luang Prabang to Nong Khiaw, it takes about 3 or 4 hours on buses. You can choose some option to get there: a tourist bus at 9 am from the southern bus station for 50.000 kips; local buses at 11 am and 2 pm for 40.000 kips, and daily minibus at 9:30 am about 55.000 kips to 65.000 kips without or with hotel pick-up. 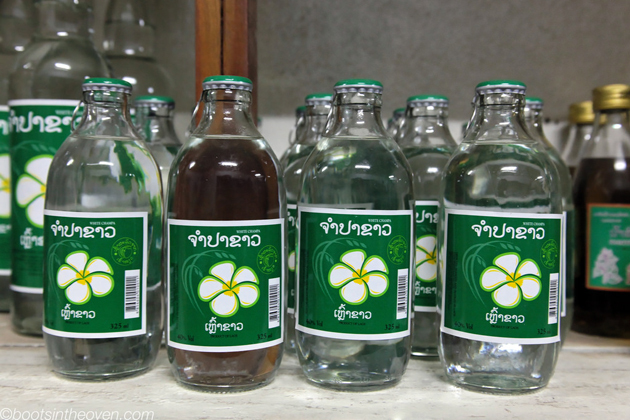 In Nong Khiaw, it is simple and small enough to walk around or rent a bike to explore the surrounding area. 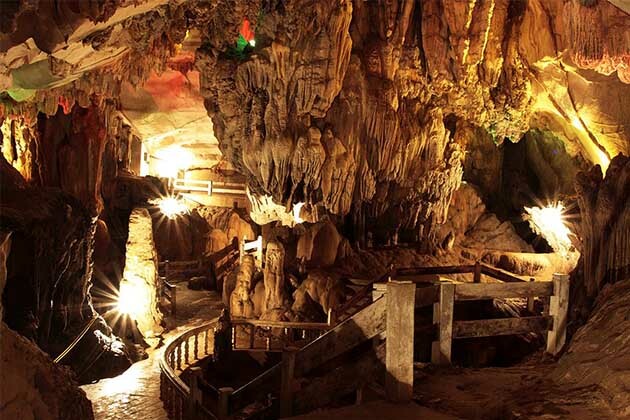 • Pha Kuang Cave is about 3km from Nong Khiaw downtown. The cave used to be a hideout during the Indochina War in the 1960s and there are some war remnants here. This cave is a real adventure for people who don’t mind getting dirty and panic in small areas as you have to pass through small holes, climb around tunnels that almost fit your body. There are many limestone stalactites and stalagmites inside the cave. You can pay 10.000 kips for a guide and a torch if you want. The cave is well-maintenance without any lightbulb or staircase so you have to discover by your own steps. • Pha Tok Cave: is about 2km from the town on the far side of the river from the boat landing and bus station. The cave is located in a high limestone cliff sheltered villagers and Pathet Lao fighter during the Second Indochina War. You have to climb up the steep concrete steps to get into the caves, command posts were stationed at the mouth of the cave. You pay the entrance fee at a bottom and borrow a torch. The trail to the cave is through many rice paddies and a small section of jungle. • “100 Waterfalls”: it is marked as one of the best trekking in Laos. You have to walk through a paddy field before seeing the waterfalls. The way is quite dangerously with the slippery path so that you should expect the sunny day. You literally climb, scramble the waterfall and swing like Tarzan in the forest. High recommended for going in a group and high fitness level. 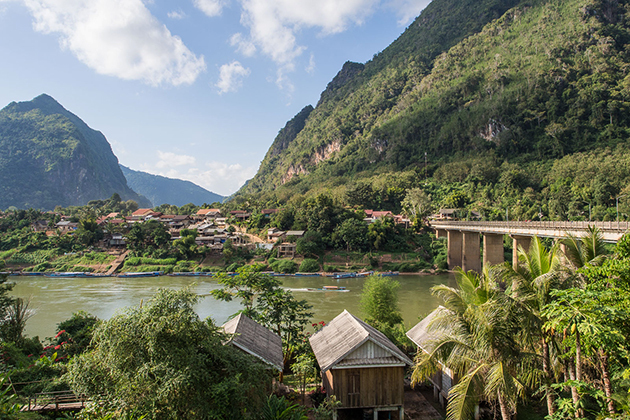 Nong Khiaw is considered one of the great river journeys in Laos as its remoteness and beauty. Many best outdoor adventure activities are offered for tourists. Rock climbing: there are many limestone mountains close to the town, which offers for both technique or beginner routes. Many services in town supply equipment, and tour guides or even introductory courses. Trekking and Jungle fly ziplining: there is an adventure and ecotourism company offering a unique experience in the area, zip lining in the jungle with 400m long. You can have a trekking around the town, pass through the trails with a stick in your hand then explore the pristine nature of Nong Khiaw. Kayaking: this is a must-try experience in any riverside town. Rent for a kayak then float on the gentle river, have chilling time. Cycling: Rent a bike and ride around to discover interesting things in the village. Enjoy the true life of the countryside and admire the rustic scenery. Viewpoint: Prepare safe equipment and climb on the east side of the town, you will get to a spectacular viewpoint. 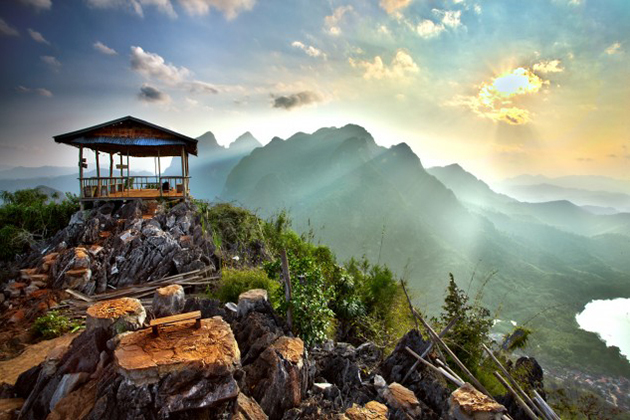 Imagine you are at the peak of a mountain and watch the romantic sunset or gorgeous sunrise. Best feeling ever.